We were inspired to create our own garden math game during Easter break. Real flowers outdoors are at least a month away, so it was cheering to add some color to our day. 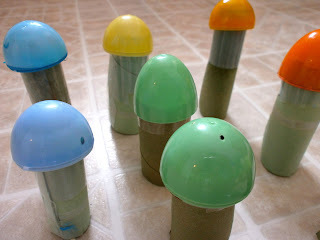 Interestingly, it was my five-year-old son who was most eager to make these, and then knock the flowers down of course. Draw flower shapes onto cardboard, using the plastic egg halves as centers to give a sense of proportion. Cut out flower shapes. Paint flowers and use egg halves as stamps in the paint. Let dry. Paint or color cardboard tubes green to serve as stems. We slit them lengthwise and rolled them tighter, securing with tape. 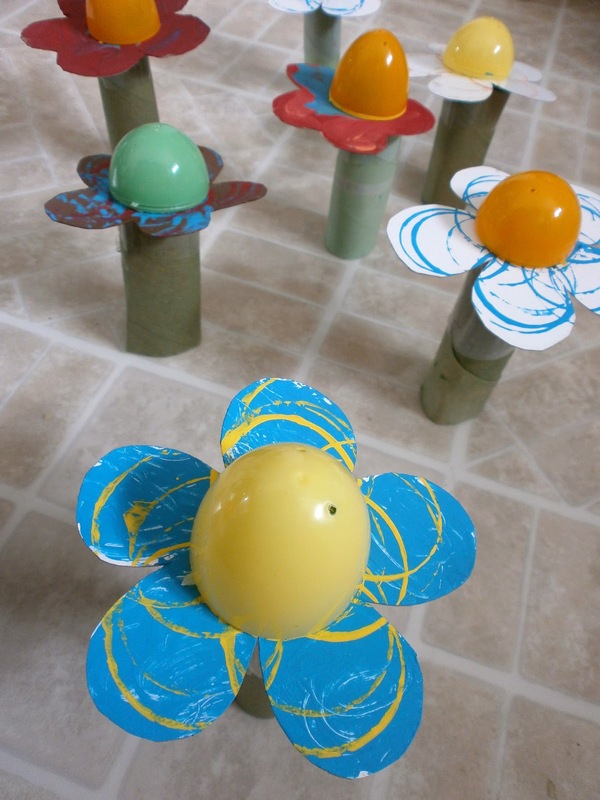 Assemble flowers by standing tubes upright to form stems, then adding flower petal layer, followed by the plastic egg halves to be the center of each flower. 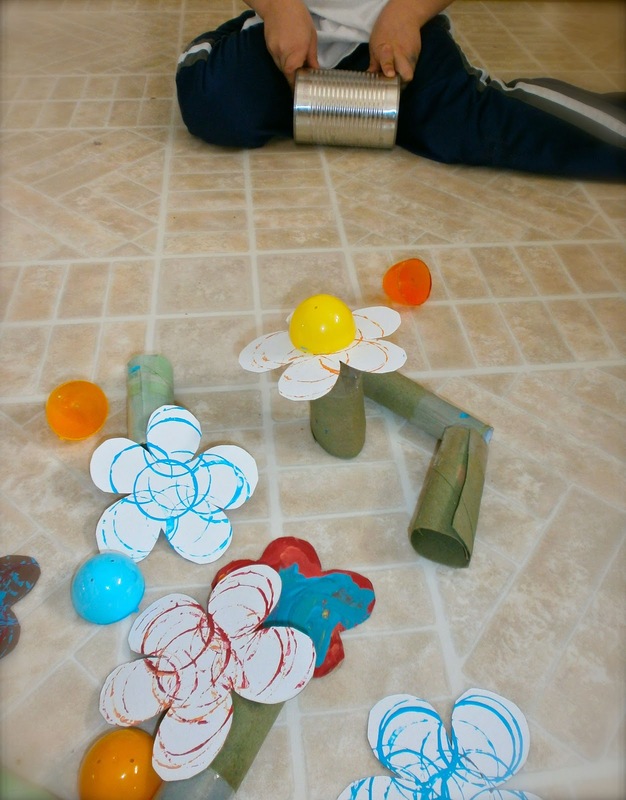 To play a bowling type of game, roll a tin can (I stuffed ours with a plastic bag to add ballast) or softball to knock down the flower "pins." Keep score of how many flowers are toppled for some fun addition practice. Another version of a math game requiring a die to roll can be found here. One of my children created this variation, which looks like mushrooms. Find more creative ideas each week at Your Green Resource and these fun places. Those are awesome. Perfect for spring and for Earth day this month! Pinning!